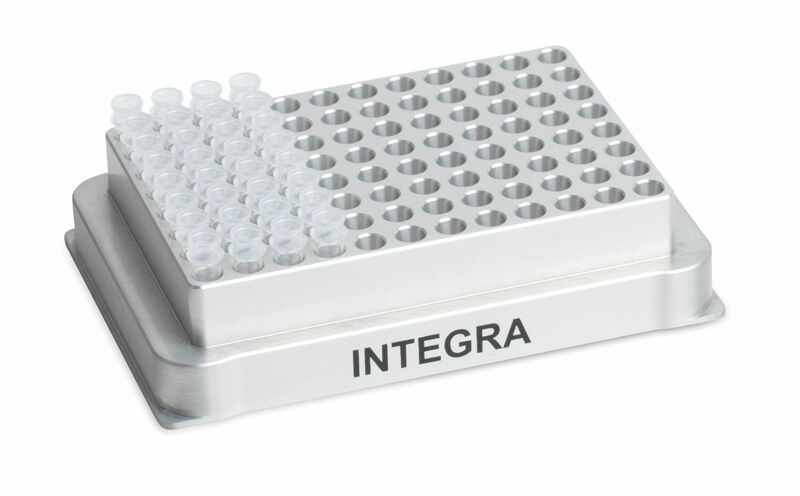 Performing serial dilutions by hand is a tedious and error prone task.Not with the ASSIST PLUS - it does not skip rows and keeps critical parameters such as pipetting height and mixing speeds consistent for best pipetting results.If needed, tips can be exchanged after every transfer to minimize carryovers clinging to the tip. 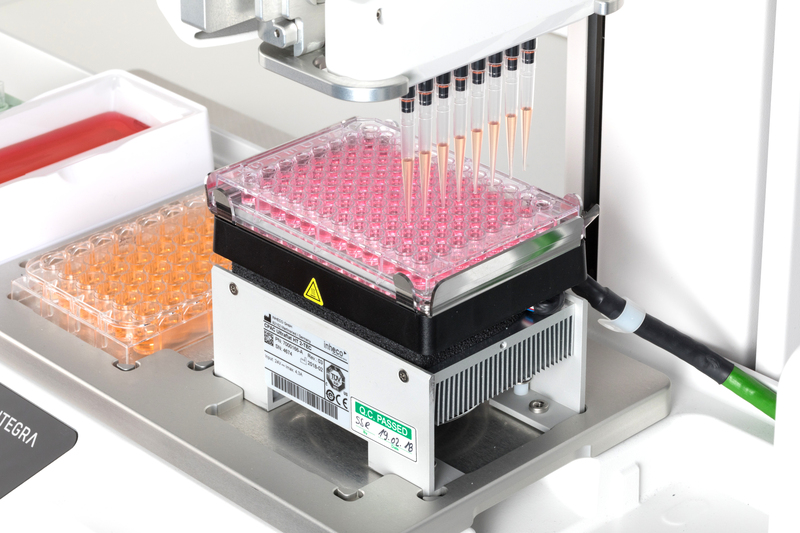 Reformatting samples from one format to another – e.g. 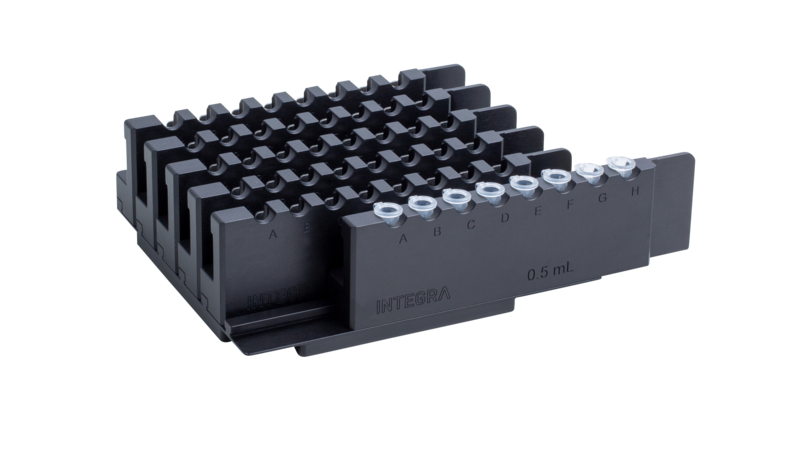 from tubes into plates – is time consuming and prone to transfer errors.ASSIST PLUS reformats your samples automatically, taking full advantage of the VOYAGER pipette's adjustable tip spacing to process tubes and plates up to 12 times faster than using a single channel pipette. 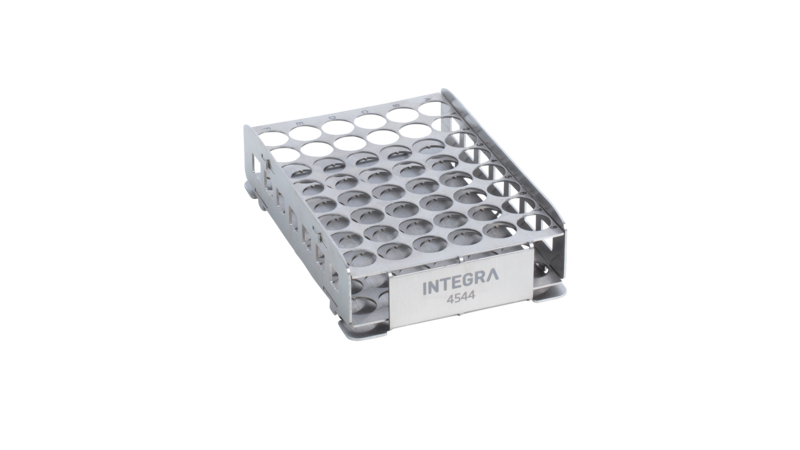 Setting up assay plates typically requires the addition of multiple samples and buffers or media.The flexible deck layout of the ASSIST PLUS accommodates tubes, reservoirs and plates, enabling multi-step transfers to the assay plate. 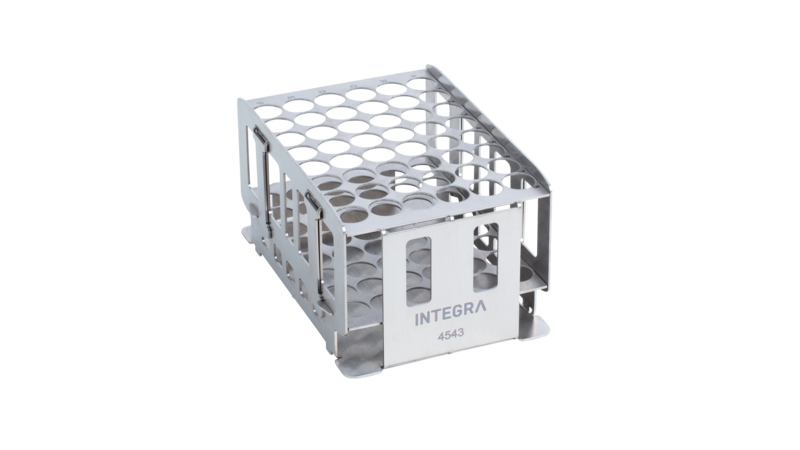 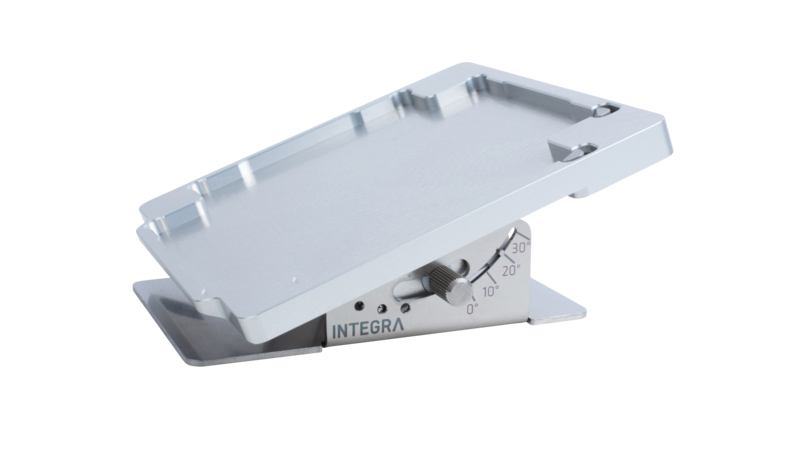 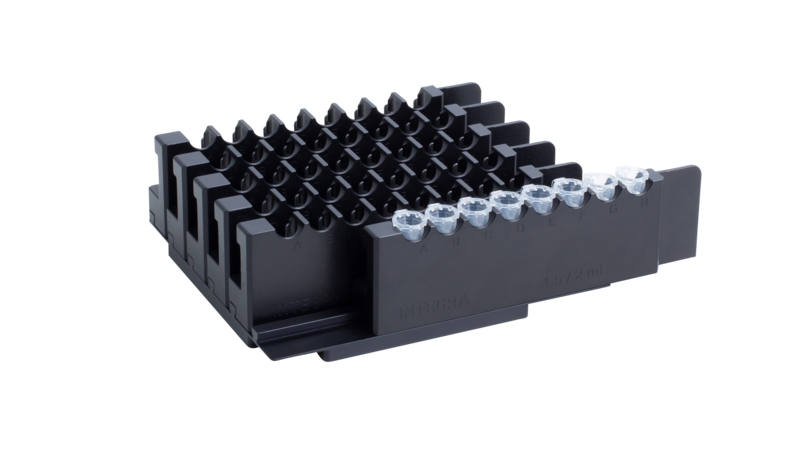 The aluminum cooling blocks keep reagents in various PCR plates chilled.In addition, the 96 well cooling block serves as a holder for 0.2 ml PCR tubes. 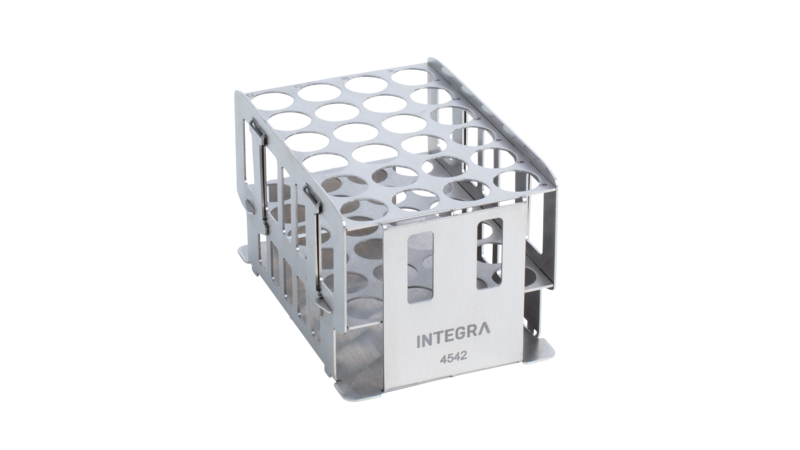 Decks, racks, waste bags, etc.